The Twenty-Fifth Amendment clears up some questions that were left unanswered by the Constitution. Namely, what happens when the office of president or vice president becomes vacant? When William Henry Harrison died in 1841, Vice President John Tyler boldly claimed that he was the new president. This precedent was followed each time a president died while in office. 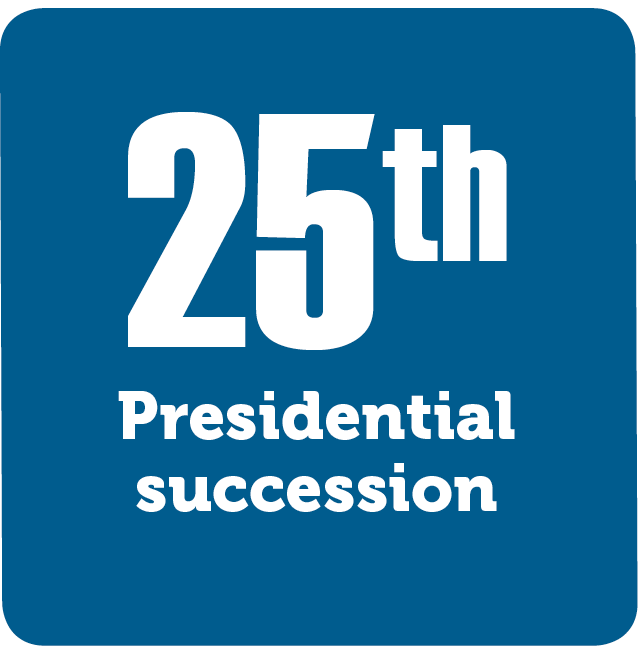 After the assassination of John F. Kennedy, Congress passed the Twenty-Fifth amendment, making Tyler’s precedent a constitutional fact. In the case of a vice presidential vacancy, the president nominates a replacement that the Congress must confirm.